So, what exactly is it about this brand of knee sleeves that makes it stand out from the rest? Well, let me share with you some features of this product that I particularly loved. Doing squats and lunges can be very tiring and even unsafe if you are not using the right protective gear for these activities. 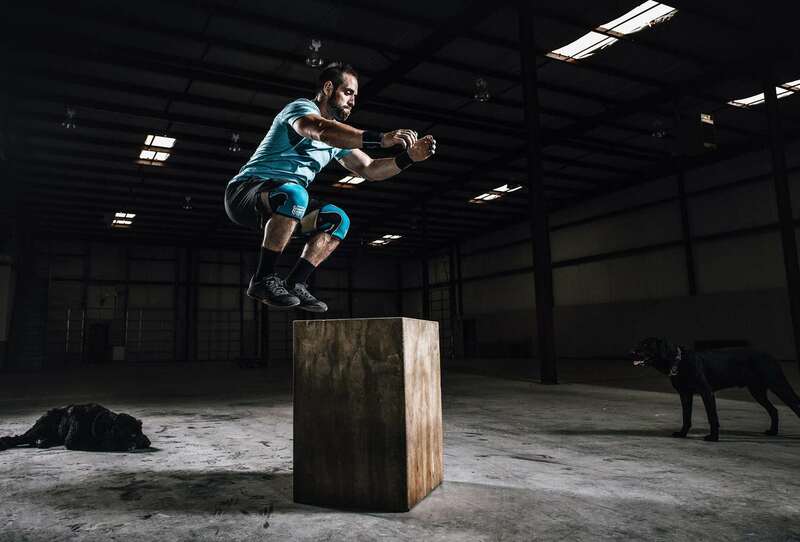 Specifically among weightlifters, it is essential to keep their knees properly supported at all times whenever they bend to lift massive weights. With the Rehband 7051 knee sleeves, I get the support that I need and feel safe whenever I head off to the gym with these things on. I love the 7mm thickness of the sleeves because it is not too thin or too thick for the amount of work it is supposed to do. My knees stay warm and compressed in a way that minimizes stiffness and pains in the joints or muscles. Made of 100 percent neoprene with polyamide lining and cover, these sleeves can stretch perfectly. Aside from support and comfort, proper fit matters so much to me. 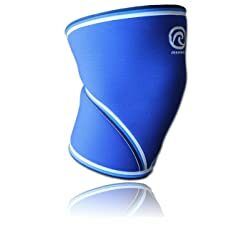 After all, what good is a knee sleeve when it presses on my knees too much or comes off easily? 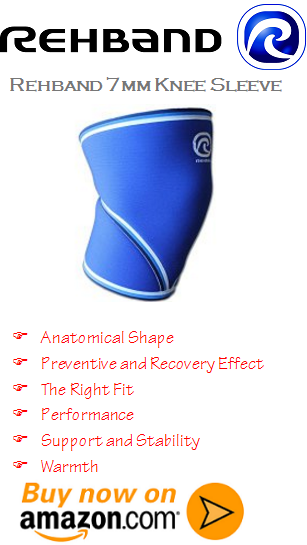 Since these knee sleeves feature an anatomical shape, I like how the fit is just perfect. I refer to the sizing chart to determine the right size I need, so the sleeves will not fall off or do more harm than good by compressing my knees too much. Now that I have given you just some of the features I appreciate about the product, let me give you some additional information you may want to know about it. Primarily, you need to get the right size by stretching your legs and measuring the knee middle patella. You may get a size smaller than your usual fit if you want it tighter on you. However, never go two sizes lower. If you have large quads, you may go for the large size since medium may be too tight on your quads. For those with average-sized quads, a size smaller than your actual measurement should work just fine. Lastly, these knee sleeves cost around $90 a pair. While it may seem a bit expensive for some, it is a good deal since it lasts a long time. In fact, I have these sleeves for 5 years, and they look and fit amazingly. 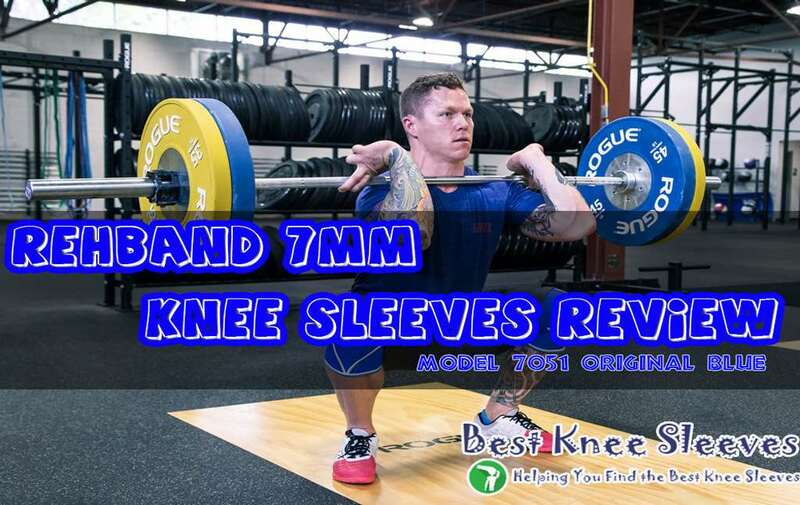 I am so happy I invested in these Rehband 7mm knee sleeve pair because of the excellent performance and comfort I get all the time.